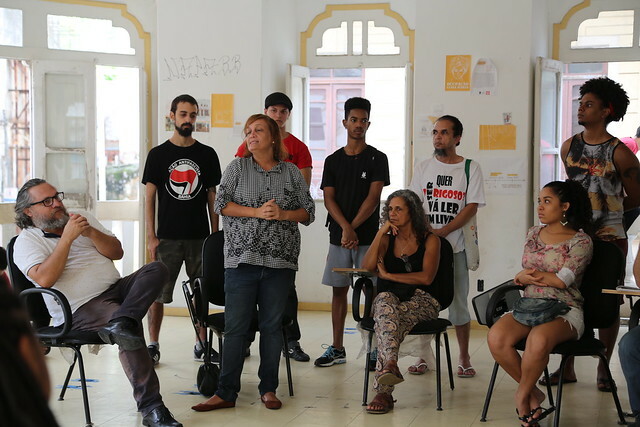 The Luísa Mahin Occupation, situated in Salvador‘s business district, received an eviction order despite ongoing negotiations with the state government of Bahia, in Northeastern Brazil, to register the 25 occupying families in Minha Casa Minha Vida public housing. The repossession order arrived on May 29, the day in which the state government was supposed to deliver the names and documents of all the occupation’s families in order for them to receive apartments in a housing complex on the outskirts of Salvador. Last Sunday, June 3, there was a solidarity lunch in support of the occupants, with dozens of people joining together at the occupation. The State gave residents five days to clear the building, a deadline which ends today, June 7. The occupants and their supporters are firmly committed to occupying the building until they receive their apartments, even if this means resisting a police intervention. The Luísa Mahin Occupation occupies a four-story colonial mansion in Salvador’s historic center. 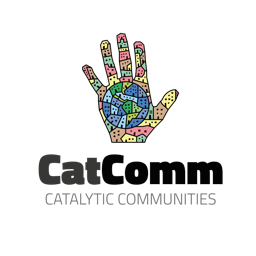 Led by the the Movement of Struggle in Neighborhoods, Villages, and Favelas (MLB), the occupation began on September 25, 2016. 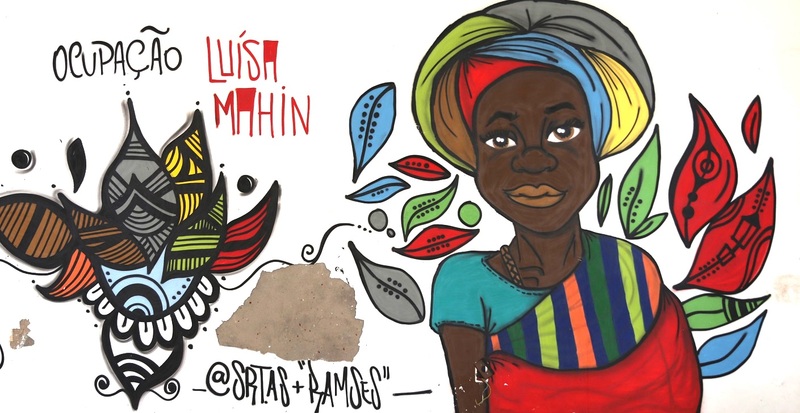 The name Luísa Mahin was chosen in recognition of an African woman who was brought enslaved to Brazil and was a central figure in several uprisings against slavery in Bahia in the 19th century, including the famous Malê Revolt. The building was formerly the headquarters of a CESOL (Public Center for the Solidarity Economy), a public office of the Bahian state government, and it had been empty for two years before occupation. The majority of the families who live there are headed by women who work in the informal sector, recycling material or working as vendors or artisans. The first floor of the occupation is the headquarters of the Carlos Marighella Popular Education School, which offers literacy classes for adults, community prep for university entrance exams, and political education classes. Gregório Gould, a member of the MLB leadership in Bahia, says the negotiation process between the movement and the state government had been going well, and nothing had indicated that an eviction order would be imminent. On the contrary, the two sides had arrived at an agreement, on April 27, that the families would be resettled in the Margarida Housing Complex, part of the Minha Casa Minha Vida program, within 90 days. According to Gould, the Bahian government filed for a repossession order in 2016, well before beginning the negotiation process with the MLB, but delays in court meant that the order only came into effect now, resulting in this contradictory situation. The problem is that now the order directly interferes with the negotiation process between occupants and the State because, legally, an older process prevails over a new one. 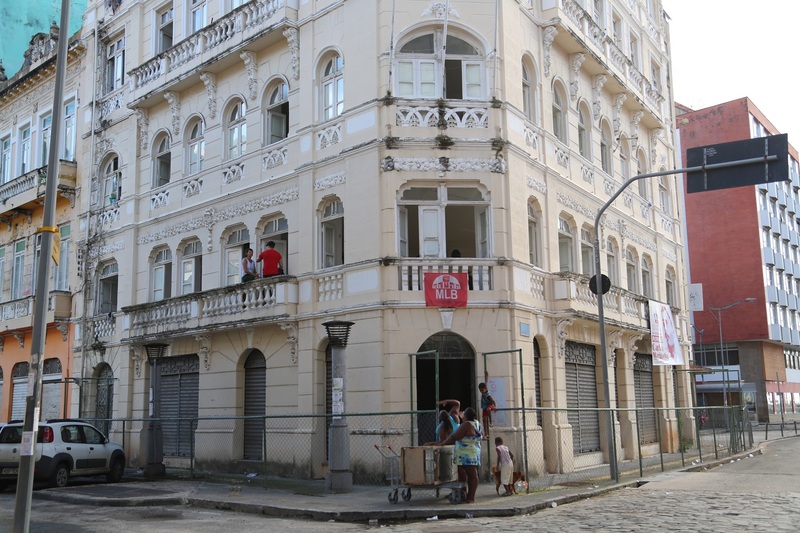 If the judge does not suspend the repossession order and the families are indeed removed from the building this week, the 25 families will be out on the street until the delivery of their Minha Casa Minha Vida apartments. The apartments are expected to be ready in August, if there are no delays. The order arrives at an unfavorable political moment for affordable housing movements, characterized by a wave of repression against urban occupations following the collapse of the Wilton Paes de Almeida building in São Paulo. 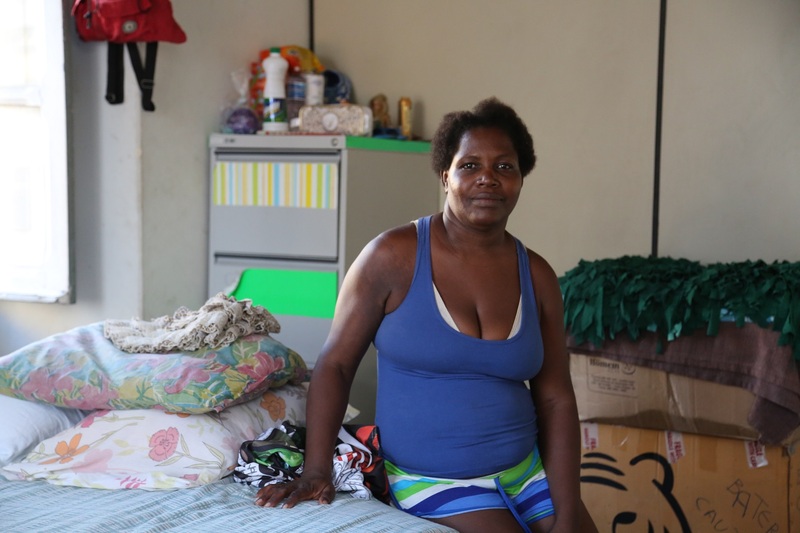 As such, despite the hope that the judge will consider the ongoing negotiation process with the State of Bahia and be reasonable enough to suspend the eviction order until the apartments are ready, the occupants remain alert and worried. The threat of being removed by force at any moment without having somewhere to go is very real and has thrown a bucket of cold water on the optimism of those who had believed the situation was almost resolved. The Luísa Mahin Occupation is located right in the center of Salvador in the business district, one of the symbols of the housing crisis in the Bahian capital. Next to Salvador’s port in the Lower City, the business district is home to many old abandoned mansions. Like the central areas of many other Brazilian metropolises, the business district has suffered from a lack of investment since the 1970s, resulting in a high rate of unoccupied buildings in the neighborhood today. The MLB chose the Luísa Mahin Occupation’s location precisely to call the public authorities’ attention to the importance of investing in affordable housing in central neighborhoods, where vacant buildings and the necessary infrastructure already exist to support housing. 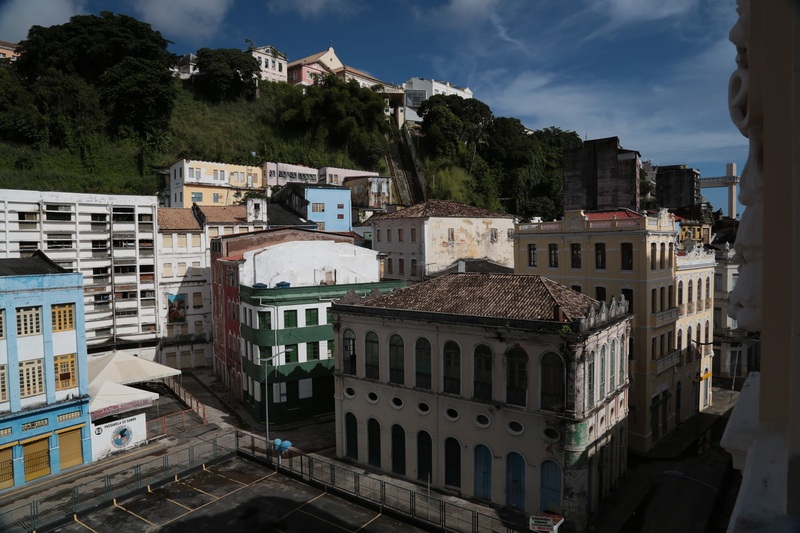 The housing deficit in Salvador is one of the most extreme in Brazil and will be solved only through investment in affordable housing in vacant spaces in central districts. However, the real estate speculation game and the construction industry’s interests prevail in public policies, resulting in low-income populations being pushed out to housing complexes in the city’s periphery while central neighborhoods remain abandoned and run-down, feeding a vicious cycle of insecurity, violence, and stigmatization in these areas. As Gould says, “The city has to serve those that built it—the working class.” At this moment in time, however, the dominant logic is something else, privileging the interests of the wealthy and leaving the poorest in extremely precarious situations in everything from housing to health, education, the economy, and human rights. UPDATE, June 11, 2018: The MLB has since successfully overturned the eviction order. The state government has promised that residents will receive Minha Casa Minha Vida apartments within 48 days. Until then they can remain in the Luísa Mahin Occupation. Émilie B. Guérette is a Canadian anthropologist and filmmaker based in Rio de Janeiro. She directed the full-length film O Outro Rio, filmed at the IBGE Occupation in Mangueira during the Rio 2016 Olympics. She has been producing audiovisual work around housing rights in Rio and across Brazil since 2013, and is part of the ethnographic research team Luta Pela Moradia No Centro Da Cidade (Struggle for Housing in the City Center), which accompanies various popular housing projects in Rio’s Centro region. This article was written by Émilie B. Guérette, and published on June 7, 2018.